The California T will join Ferrari's lineup after being unveiled at the Geneva auto show next month. MODENA, Italy (Reuters) -- Ferrari posted a 5 percent rise in 2013 revenue to a record 2.3 billion euros ($3.15 billion), even as deliveries of its supercars fell 5 percent to 6,922 units. Ferrari's trading profit for the year -- earnings before interest, tax and one-time items - rose 8 percent to 363.5 million euros, helping to offset some of parent Fiat Chrysler Automobile's losses in Europe last year. While Europe's mass-market carmakers have been forced to idle plants because of weak demand, Ferrari cut production last year to maintain the exclusivity of its cars. Asset valuation agency Brand Finance on Tuesday ranked the luxury carmaker higher than other top consumer names such as Google and Coca-Cola. The agency said the carmaker scored highly on a variety of measures, from desirability, loyalty and consumer sentiment to visual identity and online presence. Being the most powerful brand, however, does not make Ferrari the most valuable, Brand Finance said, as it is a niche, luxury brand, which has imposed a cap on production to protect its uniqueness. Ferrari's $4 billion brand value puts it 350th in brand value terms, Brand Finance added, far behind category leader Apple, whose brand value of $105 billion shows the technology group's ability to monetize its image. "The prancing horse on a yellow badge is instantly recognizable the world over, even where paved roads have yet to reach," Brand Finance CEO David Haigh said. "Ferrari inspires more than just brand loyalty, more of a cult-ish, even quasi-religious devotion." In response to the ranking, Ferrari Chairman Luca di Montezemolo said: "We are proud to be representatives of the 'Made in Italy' label. We understand what our company represents in the world, not only in terms of image, quality or tradition, but also technological innovation." 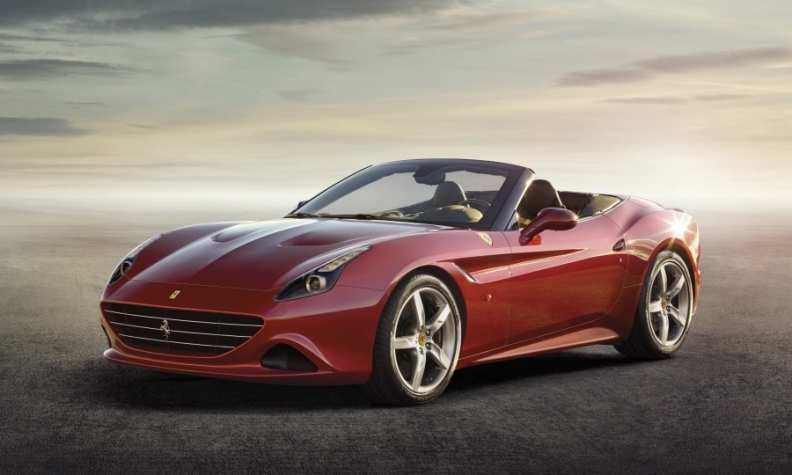 Ferrari will present its latest new model, the California T, at the Geneva auto show next month.